There are 25 days left until the NYC Marathon and 2 days left of fundraising. Even though I’ve reached my goal, I’m compelled to want to finish out with a bang! 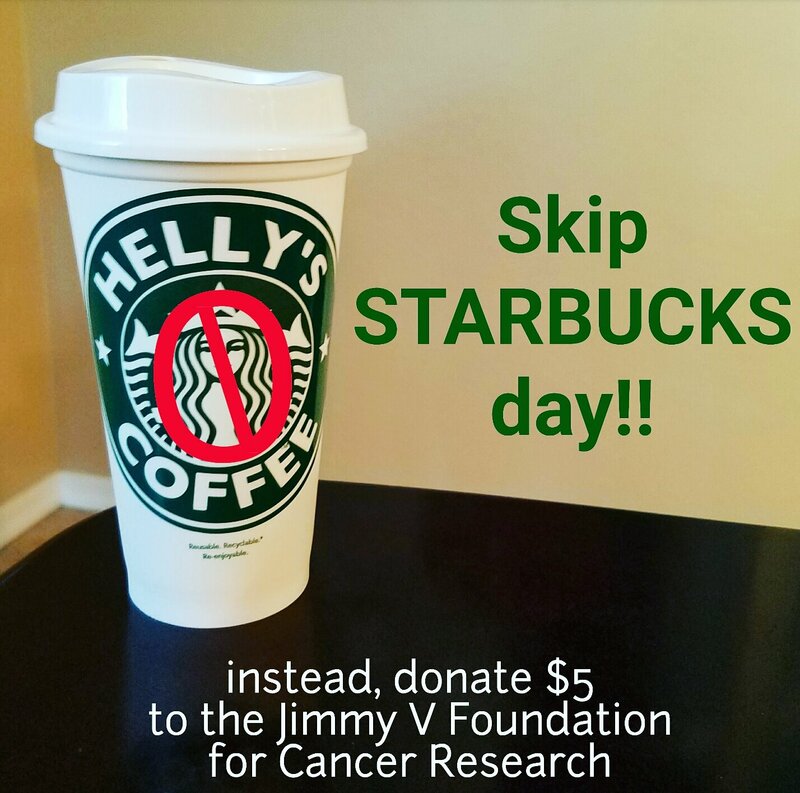 So, I’m officially declaring today SKIP STARBUCKS DAY!! –Do you need caffeine to function? I’m so excited for you. What a great fundraising idea! I love coffee. And as a parent, I need it more than ever! Right??!!! Kids totally drive my caffeine addiction, lol! I am not a big fan of Starbucks either. It is very pricey. Way less expensive when making it at home. I also need more that just one cup to get me through the day. Good luck in NYC. Pricey and I haven’t found anything I like on the menu. Maybe that’s a good thing, lol!! I also need more than one cup to get me though jaja!! Well, I’m a little bias as you might know from my blog, I have a great job with Starbucks and after 20+ years in technology, they are by far the best company I have ever worked for…they treat us incredibly well from the baristas in the stores all the way to the CEO we are treated with dignity and respect with fabulous benefits and great salaries. They also do incredible work in communities all over the world often in very impoverished areas. Besides, everything we make is awesome 🙂 Am I bias…yeah, absolutely, so I won’t be skipping Starbucks anytime soon!! Jaja!! Totally okay to be biased 🙂 I’m just a picky coffee drinker. Actually, I didn’t start drinking coffee til I met my husband so the one he drinks is the only one I like, jaja!!! I’m glad to hear that the company treats their employees well. That makes me happy; I love hearing positive work stories!! And I didn’t mean to skip Starbucks forever!! Just one day to donate 😉 lol!! !